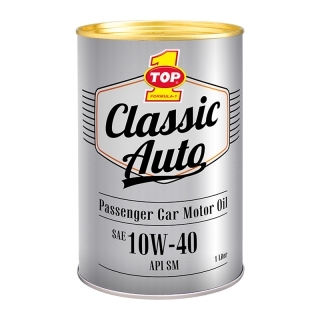 TOP 1 CLASSIC AUTO 10W-40 is high quality PCMO for use with both modern and older car. Specially formulated using group II base oil with a purity level of 99.2%, thus preventing the formation of sludge and crust that keep the cylinder and piston kept clean. Specifically formulated to meet the demands of vehicle fuel efficiency in everyday use. Using the best additive containing moly additive for reducing friction at high temperature and high speed.